Lisa grey was an honor roll student in the year 1995, she was a senior who was very popular. She would spend most nights at parties or drinking with her friends. One night on October 31st 1997, she was with a group of friends at a party when an unexpected person showed up to her room in the middle of the night he talked funny and was in his thirties. He offered her a drink. Lisa knew in her mind she shouldn’t take the drink but she was around her friends and she didn’t want to seem like a wuss. So she grabbed the drink and started to drink it. Needless to say the drink was tampered with and Lisa git very sick and collapsed to the ground. 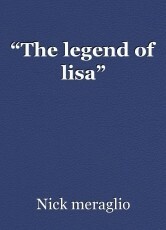 Lisa’s friends called the police as the man had managed to slip out the door. The police and paramedics came, Lisa had died soon before they’re arrival. The police arrested her three friends for attempted murder. The three friends were convicted and had to spend the next twenty to fifty years in prison without parol. Legend has it that Lisa’s ghost comes out to haunt the streets on Halloween night looking for the man who killed her and if she sees anyone who looks like him she might just try and get her revenge. This page was created in 0.4824 seconds.